Introducing “Finished Object” or “FO” Friday! Now I share recent projects I have completed! So here’s a quick one to start. I’m always finding my cords all tangled up, so I made a solution! 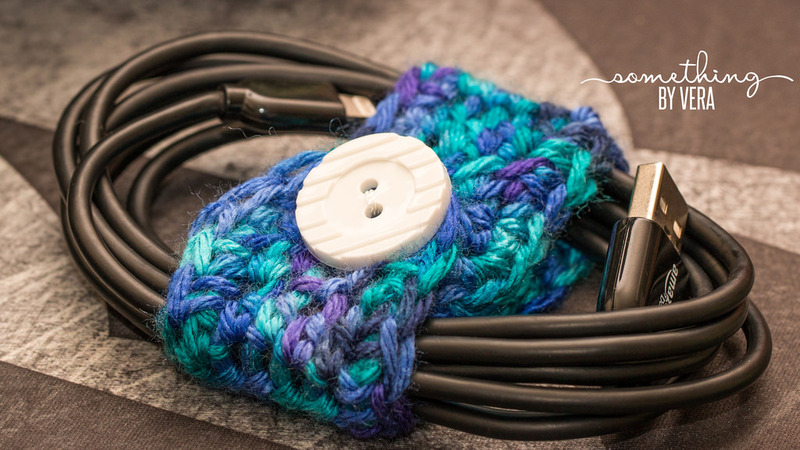 A quick little thing to strap around cords! A rectangle/strip with a buttonhole, add a button, and done! I didn’t use any particular pattern, I just made some half double crochet rows and single crochet around.